Beautiful. 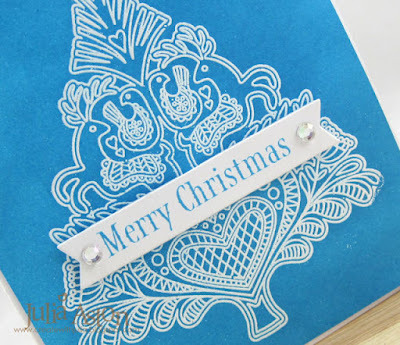 Love the detail on your stamping! 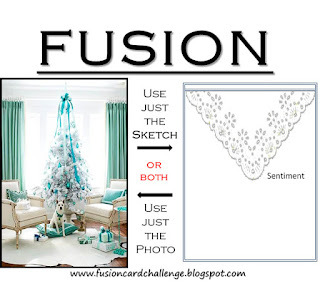 Love the tree image, Julia...simply stunning as you've used it! Happy Thanksgiving! What a lovely tree and a beautiful shade of blue. Happy Turkey Day! Great card! Love the stamp. 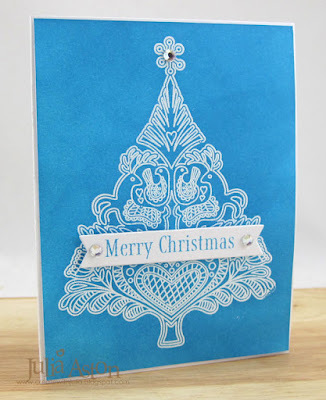 That tree stamp is just gorgeous and I love the blue sponging around and over it - it really makes the tree pop! Fabulous CAS card, Julia! Absolutely fabulous! I love the tree and your sponging is amazing! Perfectly elegant, perfectly CAS! That tree image is just gorgeous. 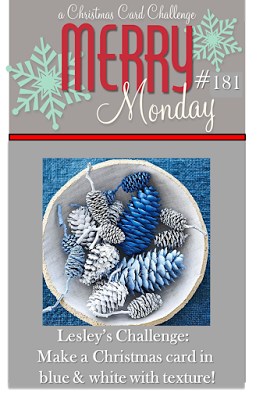 Thank you for joining us at Merry Monday! What a pretty and detailed tree for your stamped image! Thanks for playing Merry Monday!